Following is an example of a basic scatter chart. We have already seen the configuration used to draw a chart in Highcharts Configuration Syntax chapter. An example of a basic scatter chart is given below. Let us now see the additional configurations/steps taken. 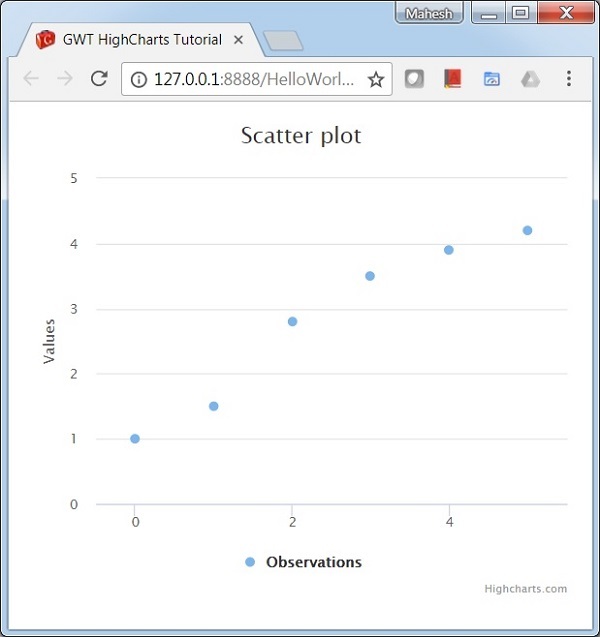 Configure the chart type to be scatter based. series.type decides the series type for the chart. Here, the default value is "line".